Save To Calendar 04/26/2019 9:00 am 04/26/2019 3:00 pm America/Chicago The 128th Battle of Flowers® Parade The Battle of Flowers® Parade started it all. As the founding event of Fiesta® San Antonio, it attracts more than 550,000 spectators from around the nation. 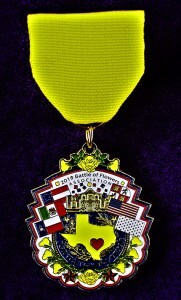 The Battle of Flowers® Parade is the founding event of Fiesta® San Antonio, attracting crowds of more than 550,000. It is the only parade in the United States produced entirely by women, all of whom are volunteers. Learn more about our amazing history. Tickets to attend the parade are available for purchase to the general public, while supplies last. Seating is reserved for ticketholders. For questions regarding parade tickets, click here to email us. For questions regarding parade entry, click here to email us.